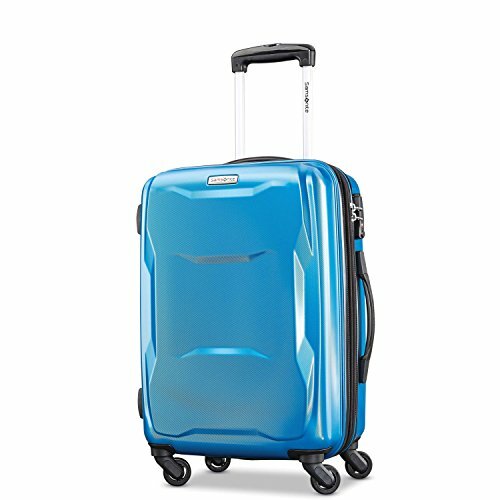 The Pivot collection from Samsonite is one of their latest masterpieces that is both super-light and also on the lower end of the price scale. It comes with more than enough features to suit most people, but won't break the bank. And that's great news if you want a quality suitcase, like Samsonite is renowned for. But, does it have enough features to allow you to pack what you want, carry it with comfort and also last you for years to come? Is The Pivot Hot Or Not? 19.75" x 14.25" x 10.0"
24.75" x 17.0" x 12.0"
28.5" x 20.0" x 13.25"
22.25" x 15.25" x 10.0"
27.4" x 18.25" x 12.0"
31.4" x 21.25" x 13.25"
If you're a newbie to luggage shopping, you're probably a little bit confused by the two different dimensions of each suitcase. Here's the thing; body dimensions of the suitcase are the exact dimensions of its shell. ​The overall dimensions also include the wheels and the handle, and they are the dimensions that the airline is going to look at when deciding whether you need to check your suitcase. The good thing is that the smallest Pivot is a carry on according to most airlines' standards, so you don't have to worry about that. Now, arguably the most important specification of a suitcase is its weight. What's the point in buying a really nice carry on if it weighs 10 lbs, and you can only bring 20 lbs inside the cabin? That's why you'll really like these Samsonites if you're looking for airline-approved luggage. They are extremely lightweight, which means that you'll be able to pack pretty much anything you need in them. Just be careful with the largest suitcase - even thought it's still pretty light, it's always easy to go over 50 lbs if you overpack. And now we'll get a little bit into why exactly these suitcases weigh so little. Yes, it's time to talk about the materials that the Pivot collection is made of, but also about all of its other features. One of the reasons Samsonite luggage is always pricier than other brands is because they always use the best materials. The Pivot is no exception – its shell is made of pure polycarbonate, one of the best materials for hardside luggage. 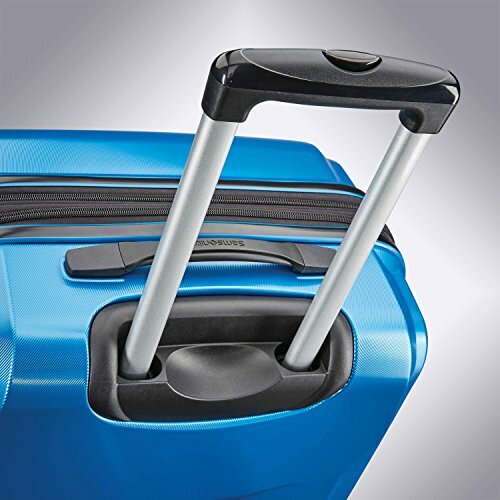 It is very durable and strong, but also incredibly lightweight at the same time, and those are the two most important features of any suitcase. You want it to be strong so that you can use it for years, and you need it to be really light so that you can pack more inside it. There are a few things that manufacturers can do, in terms of the design of the shell, to make the scuffs less visible. If you take a look at the photo on the right, you can see that the shell of the Pivot is not a solid color, nor is it completely smooth. And, because of this textured pattern, your Pivot will look as good as new for a longer time to come. In fact, I have a Delsey that is very similar to this and even though it has been through the wringer over and over (ie. baggage handlers) it still looks great. 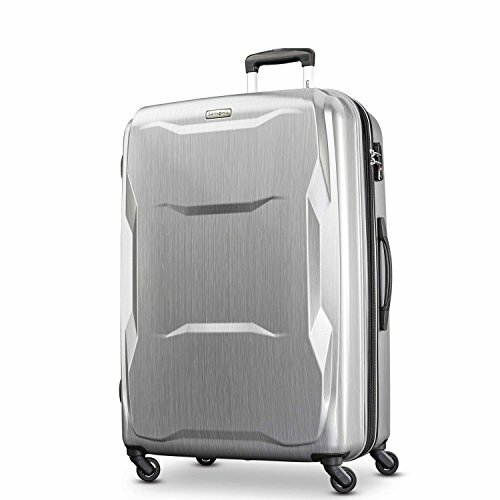 If you're a luggage pro, then all you need to know about the Pivot is that it's equipped with four single spinner wheels. But if you have no clue what that means, don't worry - I'm here to explain every last detail to you. A spinner wheel is able to rotate 360 degrees. That is the biggest difference between them and regular in-line roller wheels. And what that means is that you do not have to tilt your suitcase so that you can drag it behind you. Oh no, if you have a suitcase with spinner wheels, you can pretty much push it in front of you if you like. 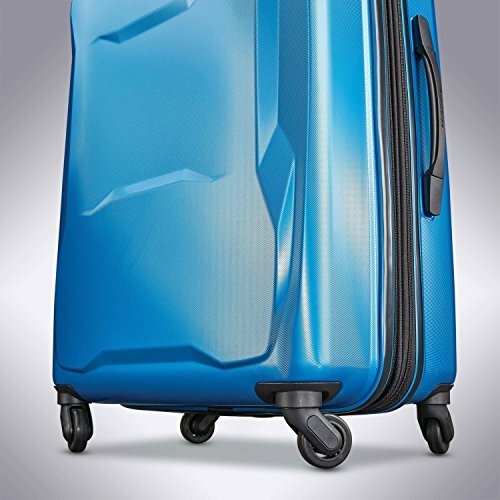 Or roll it alongside you - the point is that the wheels roll smoothly in any direction, which gives you great maneuverability of your luggage. Now, if you ever had to drag a really heavy suitcase with in-line skate wheels, then you know just how painful that can be, especially for your arms. That's just another benefit of spinner wheels - you won't have to deal with sore arms ever again, and that alone is priceless! Just one last note: You can also tilt it, if you hit gravel or cobbles it is kind of necessary, but most of the time you won't need to. Easily. The Pivot has a retractable telescopic handle that locks into place both when fully extended and when stored. There are also two carry handles. One is on the top of the suitcase and the other one is on its side. These will come inn handy those times when you actually need to pick up your suitcase, and it's a good thing that they're really sturdy. In about two seconds with the TSA approved combination lock. You can set up the combination yourself - you should get instructions with your suitcase, but generally the original combination is 000 or 999, which you change to whatever you want. There are some situations when you don't really need a lock on your suitcase - when you're travelling by car, or if you're flying with a carry on that will be close you to during your entire flight. But if you are going to be parting with your suitcase at any point, you definitely want to have some kind of a lock, so that you can be sure that all your stuff will be safe. And if you fly frequently to the States, you definitely need a TSA approved lock, like this one on the Pivot. TSA approved means that Travel Sentry Agents will be able to open up your suitcase easily, should they decide to do so. With a different type of lock they would have to open it up forcefully, and possibly damage it beyond repair. So far so good, right? All of the features we talked about are great and they make the Pivot look like an amazing purchase. But, what about the most important feature of all - the packing compartment? 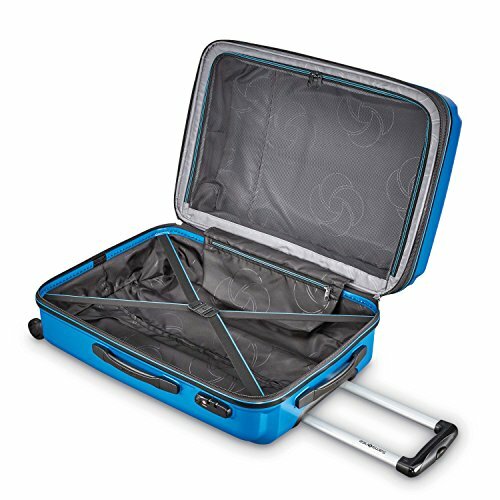 For one thing, you get two packing compartments, as is often the case with hardshell luggage - it opens like a clamshell. The bottom compartment has elastic tie down straps to keep your belongings in place, as well as a single zippered pocket for any of your smaller things. The top compartment features a full panel mesh divider. That's very useful, as it ensures that all of the thing in the top compartment will stay in place and won't fall out. But there are no pockets in this compartment, which means that you have to make do with one pocket in the entire suitcase. 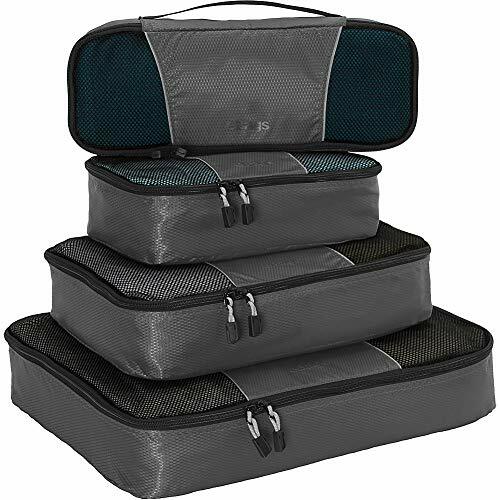 Quick Note: So in terms of organization, if you like pockets then you may want to add some packing cubes to your shopping list if you like to be organized. In the following images are a great (and low price) set from ebags. I can't recommend them enough. This suitcase is also expandable. You can get an additional 1.5 inches width which is awesome for all of you that return home with more stuff than they first brought on their trip. But, you should also be careful with this feature - say you expand the suitcase and then you pack it to the brim. Be sure to weigh your suitcase before you get to the airport. There are plenty of things that I love about this Samsonite, but there are also a few features that I'm not a big fan of. I'll summarize them here for you, so you can decide whether or not they outweigh the upsides. The wheel handle locks into just one position. I already mentioned this, but I want to elaborate a little bit. When you have a handle that you can't adjust to your height, that means that you have to adjust your body to the handle. I find this a little annoying, but for the low price of this case, it is something I would live with. To get adjustable handles, you normally have to pay a lot more. Not enough pockets. If you like to organize your stuff when you pack, you'll find this to be a big issue. There is only one pocket in this suitcase, and while that's better than what the Neopulse has to offer, it's still not a lot. Especially since there aren't any external compartments either - all of your stuff goes in the two compartments and one zipper (or your new packing cubes :>). Those are the only two things that really bother me, but I don't think that they are a reason not to buy this suitcase. Especially because it's so affordable - well, for a Samsonite at least. So, let's go to the final verdict and see if the Pivot suitcase really is worth your money. Like a hot plate! But seriously, if you are looking for a top-quality suitcase for less than a few hundred bucks (in all three sizes), then you might just buy this one. It is made from premium materials, which means that you will own it and use it for years to comes. And if anything goes wrong, there's always that Samsonite lifetime warranty! The Pivot luggage collection has all of the features that you expect from a luxurious suitcase. 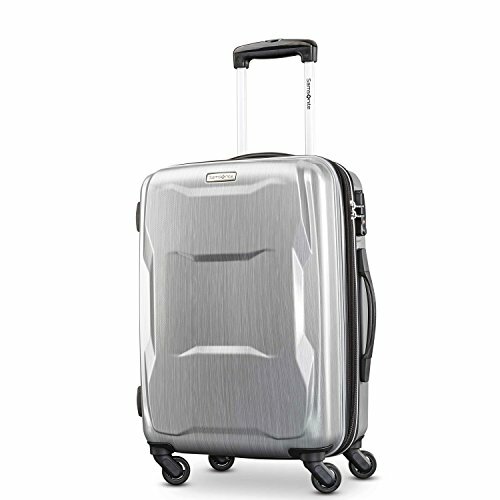 There's the TSA friendly lock, the single spinner wheels that glide like a dream, and a lightweight telescopic handle that makes controlling the suitcase a piece of cake. Obviously, there are also some downsides to these suitcases, like the fact that you can't adjust the height of the wheel handle and the general lack of pockets, but they are practically insignificant when compared to the upsides. Free Shipping on All Orders from Samsonite. 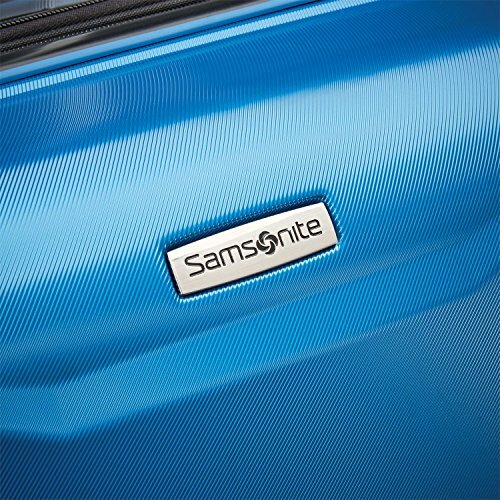 If you really need to buy a new suitcase, then this Samsonite is a great choice. On the other hand, if you are just looking to expand your luggage collection, then I'm not sure you really need this suitcase. Yes it is a pretty good piece of luggage, but there isn't anything really special about it. Why not check out some unique luggage instead - you'll definitely find something you don't own among those suitcases! One more tip for the end: if you really want to but the Samsonite Pivot, do it on Amazon, and not on their official website. For one thing the luggage is heavily discounted on Amazon, and you'll save some money. But also, plenty of people complained on their official website that they received the wrong suitcase or the wrong color, and I don't think you want to deal with that. Especially if you need the luggage to arrive in the next few days.